W e recycle, take reusable bags to the grocery store, and conserve water. 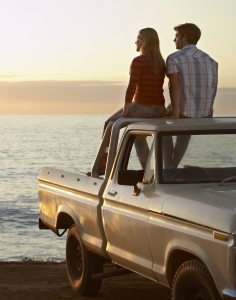 As we try to reduce our environmental impact, in the back of our mind we think about our cars. Transportation is the second largest contributor to our carbon footprint. Even leaving your car at home two days a week can reduce your GHG emissions by over 3,000 pounds a year! Public transit, walking, or riding a bike are all great ways to get where you’re going in NYC or San Francisco, but what if your city or town isn’t exactly pedestrian-friendly? 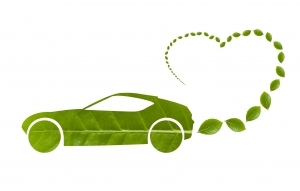 If you are looking for a way to minimize your carbon footprint with a new ride, consider a cleaner vehicle. Clean(er) Power Vehicles: What are my options? Electric Vehicles (EVs) are powered with a plug-in electric battery motor. Simply put, EV motors are more efficient at turning electrical energy into movement than petroleum motors are at doing the same with gasoline . That efficiency translates to zero tailpipe emissions! Think purchasing an EV is going to break the bank? Think again. These eco-friendly cars are becoming more affordable as technology advances and popularity rises. Even today, the low cost of rechargeable lead acid batteries is helping keep the overall production expenses of the car down. The real advantage of EVs is their fuel economy. A Toyota Corolla costs 11.9c/mile while the electric Nissan Leaf costs a mere 3.5c/mile. Even more economical if you charge your EV from a solar-powered home! Just like any vehicle, an EV does have its drawbacks. The average EV runs for only 40 to 100 miles on one charge, so recharges are needed often. Charging is time consuming – it may take up to 5 minutes at a gas station or up to 20 hours from a regular plug. The good news is, fast-charging stations are becoming more widespread – charging a car to 80% in less than 30 minutes. For the average commuter, who doesn’t travel more than 30 miles a day, an EV is a realistic option. Hybrid Electric Vehicles (HEVs) bridge the gap between an electric vehicle and your average passenger car. They combine the best of both worlds, with an electric motor and your typical combustion engine. The electrical motor runs on electricity generated by capturing the energy from braking or by converting gasoline into an electric charge. Benefits of HEVs include the extended range of a gasoline engine, the ability to charge the battery to drive electric, increased efficiency, and less CO2 emissions than a traditional gasoline or diesel car. An Australian study found the Toyota Prius and other experimental hybrids produced 66% less carbon dioxide than the average Australian passenger vehicle. The drawback to HEVs is tailpipe emissions are still released. To drive sustainably, calculate and offset your remaining emissions with TerraPass Carbon Offsets. Diesel and gasoline combustion engines are most commonly used in vehicles. Diesel engines boast fuel economy of more than 30%, get better mileage, and emit fewer CO2 emissions. Before you run off to purchase a vehicle with a diesel engine, remember they also emit more nitrogen oxides (NOx). NOx helps form smog, acid rain, and particulate matter, depleting the ozone layer. Good news: diesel technology is getting cleaner. Interest is growing in clean diesel cars that, in theory, don’t suffer from the trade-off between performance and pollution. However, the recent VW Scandal involving large scale emissions test cheating raises questions about the future of clean diesel vehicles. Rigging emissions tests for 11m cars means they may be responsible for nearly 1m tons of air pollution every year. How much CO2 emissions does your car contribute? Find out with our calculator. Are EVs the cleanest option? EVs appear to be the cleanest cars, but are they really the magic solution in the fight against climate change? EVs use electricity with its own carbon footprint. EVs have to charge up somewhere. Depending on where you live, the mix of electricity sources and its corresponding carbon footprint may vary. On average, driving an EV in the US produces about the same amount of CO2 as driving an efficient hybrid (about 325g/CO2e per mile). EVs and hybrids have higher manufacturing emissions than normal cars. When an electric car rolls off the production line, it’s already been responsible for 30,000 pounds of CO2 emissions. In comparison, manufacturing a conventional car creates less: about 14,000 pounds of CO2 emissions. However, most of the carbon emissions in EV production come from manufacturing Lithium batteries, which are 97% recyclable. Despite all of the above, on average, EVs and hybrids remain a cleaner option. You can calculate the carbon footprint of your ride with our carbon calculator, here. Take action without changing your ride. 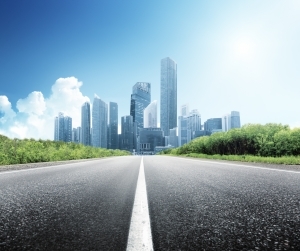 Find out more about efficient road trips in our blog. In a perfect world, what would need to happen to make cars sustainable? Turns out, we have to look much further than just sustainable vehicle designs. Sustainable, clean power. Whether it’s from an alternative fuel or a clean electricity grid, cars need clean ‘juice’. Today it’s possible to charge off-grid: directly from solar panels installed on a home. On a larger scale, we need a cleaner grid. This can be achieved by supporting clean power projects. Displacing your electricity use with Renewable Energy Credits is a great place to start. Find out more here. Sustainable infrastructure. Sustainable urban planning encompasses everything from public transit systems to efficient buildings to green space, making our cities sustainable in the long-run. Let’s face it: alternative transportation needs to be convenient to go mainstream. Environmental solutions such as solar roads and alternative charging/refueling stations need to gain momentum and support. Pedestrian-friendly neighborhoods. Even with cleaner cars, with increasing population road space comes at a premium. To keep the number of cars under control both for the sake of environment and traffic flow we need to encourage alternative forms of transportation. Cities are designing neighborhoods that give cyclists and pedestrians a faster way to get around! Are automatic parking systems (APS) the future? Locating a parking space is inconvenient, but all that driving, circling, and waiting in a multi-story car park also releases harmful airborne pollutants. With APS, a user simply leaves their cars at the entrance, and the system parks and retrieves their car. Parking facilities must also be energy-efficient and in smaller buildings to reduce the need for huge quantities of building materials and construction waste. Thinking about a new ride? Be sure to check out its footprint with the TerraPass carbon calculator, here. Tweet us @Terrapass with your options for a carbon-balanced ride. For more eco-friendly tips and information, visit our website or like us on Facebook. Don’t forget to take a look at our Pinterest boards for other awesome ideas!